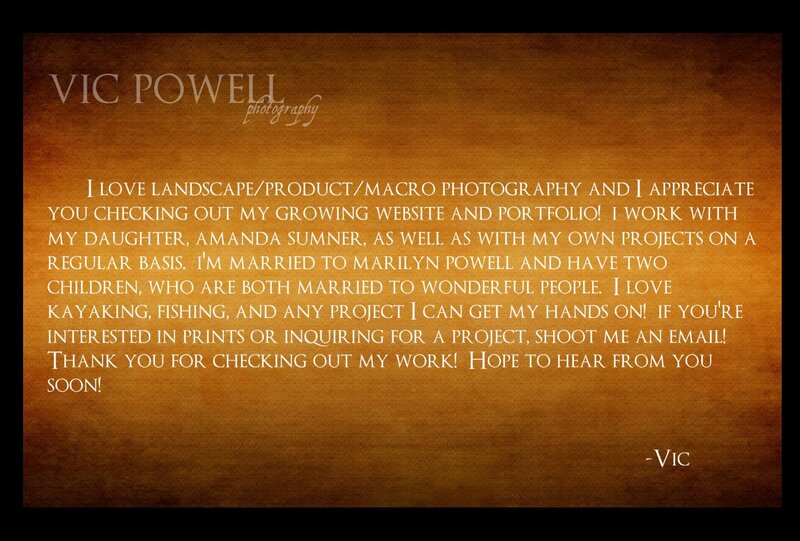 I love landscape/product/macro photography and I appreciate you checking out my growing website and portfolio! i work with my daughter, amanda sumner, as well as with my own projects on a regular basis. i'm married to marilyn powell and have two children, who are both married to wonderful people. I love kayaking, fishing, and any project I can get my hands on! if you're interested in prints or inquiring for a project, shoot me an email! Thank you for checking out my work! Hope to hear from you soon!